Arivaal Chuttika Nakshatram is an upcomming malayalam movie which is directed by Amal Neerad. 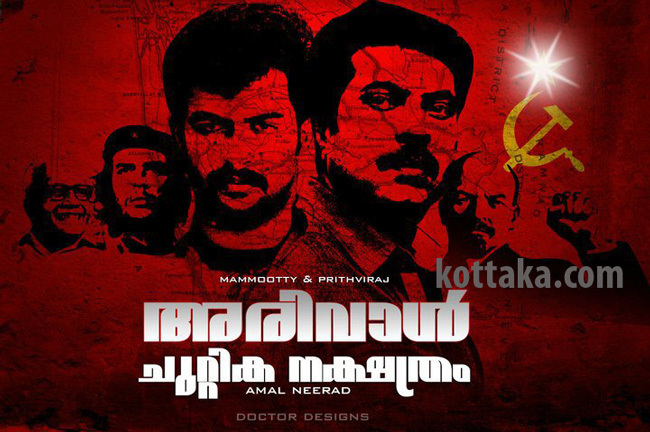 Megastar Mammooty plays the Hero role and Prithviraj turns to villain in this movie. It is not a political movie as the name suggests, but will be a period film set in the 1940s and 50s. The film is expected to be a big budgeted movie which will be produced by Santosh Sivan, Prithviraj and Shaji Natesan, under the banner of August cinema. The script is written by Shankar Ramakrishnan, who have earlier peened stories for movies Urumi and Island Express. Music is done by Gopi Sundar.